Active Release Technique (ART) is a hands on soft tissue method providing patients with diagnosis and treatment of their particular injury. Stop your suffering by using this safe, effective, and natural method that optimizes your body’s ability to heal. After an injury your body’s defense mechanisms cause inflammation. This cascade of chemical reactions reduces the amount of oxygen available to your soft tissues (muscle, ligament, tendon, and nerve) resulting in the formation of scar tissue. If not properly treated, this may lead to biomechanical dysfunction resulting in pain. If your injury is not rehabilitated properly this can lead to excessive scar tissue formation causing soft tissue adhesions and improper movement resulting in chronic pain. Active release at Sage Health is a safe and effective way to optimize your body’s ability to recover quickly. ART is used by many elite athletes as a preventative therapy for their training and race routine. Dr. Sage was one of the few chiropractors invited to participate in the 2009 Ironman Triathlon Provider Network, and acted as a treating doctor during the 2009 Hawaiian Ironman Triathlon. Don’t let your untreated injuries cause permanent damage. 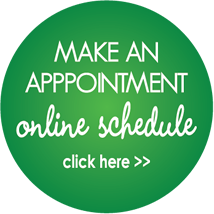 Call for an appointment today and let us help you to feel your absolute best!